Our household, like so many American households, has too much stuff. Despite getting rid of 1,079 things when we took the “1,000 things” challenge two years ago, we still had so much stuff that I sometimes wound up buying things I knew I already owned simply because I couldn’t find them. My house didn’t look cluttered, but hidden from public view in the storeroom, laundry room, office and garage was a tidal wave of stuff that I’ve been working to remove for the past two months. 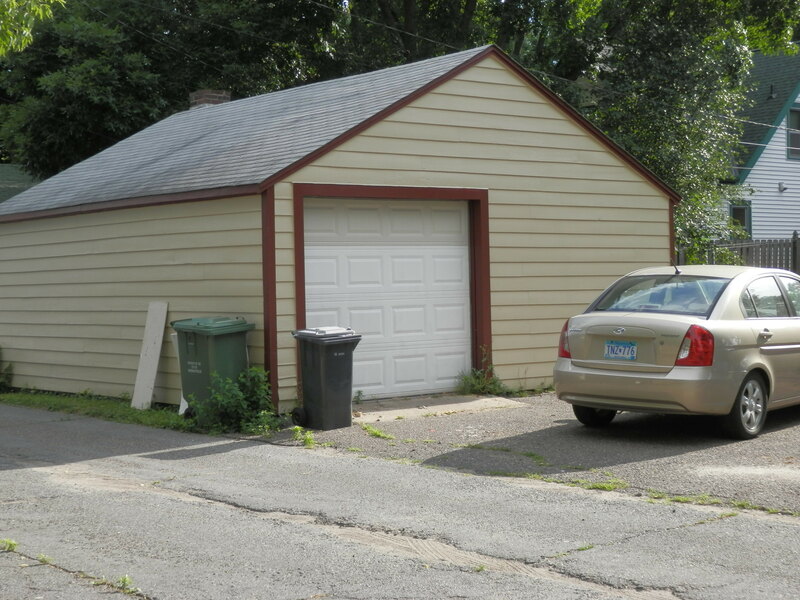 Finally, this week, I was ready to approach the space I dreaded most — the garage. I dreaded it not only because of the amount of work, but also because I knew this cleaning project would require a trip to the landfill and I HATE to contribute to the waste stream. Here’s how we went from “I can’t move” to “Wow, I could put a car in here” while working to reduce the number of things that became waste. My husband, who reorganizes the over-stuffed garage every year, likes to take the incremental approach. He cleans up one area at time. The problem with that approach is that it results in a better organized pile of things but there are still too many things. My strategy is to take everything out and only put back what we actually use. That means a lot of hauling and heavy lifting so we hired a friend to help. It took the three of us 7 hours to remove everything. That’s 21 hours of work, no wonder it felt overwhelming! Surveying the huge piles on the driveway and yard reminded me of the photo book “Material World“. A photographer took pictures of families surrounded by all of their possessions. The amount of stuff in our garage alone was far more than most families in the world own – and most of it was waste or excess. It took two hours to clean, organize and put away the stuff that we were keeping. And another hour to move the stuff we are going to sell back into the garage temporarily. We were thoroughly exhausted. Day Two: Where Does it Go? The Freecycle pile included construction materials and stuff we thought we’d use for art projects: paints, wood, inner tubes, old tires, PVC pipe, ceiling tiles. A posting with photos went online as soon as we pulled it out to maximize the time people had to pick stuff up. For two and a half days people took away things they could use. (A neighbor suggested we also post on Twin Cities FreeMarket. I signed on but ended up not using that site because it didn’t appear to be the right place for construction waste-type items. The Craigslist pile included things that are too expensive for a garage sale, like the painted Mexican ceramic sink and a pedestal sink. The garage sale pile included inexpensive items. The give-away pile contained specific items going to specific people. For example, I called my sister to give her the once-fought-over crystal table lamps from grandma. Yes, I love them, but I’m not using them and I don’t know where I’d put them in the future. The old art projects pile. We were still exhausted from yesterday’s long day and exhaustion is a problem for decision making. We recognize that when we are too tired or have made too many decisions in a row (keep, give, throw) we are more likely to a) put things back in the garage to deal with later (won’t happen) or b) to put things into the trash because it just seems like too much work to do something better. Lucky for us, we could hire our friend, CarrieAnne Johnson, to bring new eyes and hands to the project. She helped us properly dispose of things. Day Three: How Did We Do With Waste? Mid-day we rented a truck and loaded it with the stuff that had not been taken for reuse. We hauled it to the transfer station, from where it will go to the dump. As we checked out, the attendant told us we had just unloaded 1600 pounds of waste. That sounded awful, after we’d done so much to keep stuff out of the waste stream. We reminded ourselves that the vast majority of the materials that went to the dump were damaged construction materials, a broken toilet, hardened bags of concrete – things that are very, very heavy. Still, there are some lessons to learn from this. I’ll write about those lessons more in my next post. This entry was posted in Reduce/reuse/recycle. Bookmark the permalink. I forgot to take a before photo – wish I had cuz the transformation is amazing. But to see it in all its glory you’ll have to wait until after the garage sale, roommate pick-up and the next recycling day. Then every extraneous thing will be gone.